The 1880s were a decade of change for Barrow works with some of the main players departing the scene. The arrival of the basic method of steelmaking, developed by ‘amateur’ metallurgist Sidney Gilchrist Thomas, took away the lucrative position held by the directors and shareholders who had drained the coffers leaving virtually nothing for re-investment. After the Great War the once monster-iron-mining-smelting company was limping along. Following a reconstruction initiative during the 1920s it started an asset disposal programme in the early 1930s selling-off the collieries and by-products plant at Worsboro’ near Barnsley. As the decade faded closure loomed. And then a sudden and dramatic turning point! The evacuation of Dunkirk at the start of World War Two together with the blocking of special steels from Scandinavia produced a demand for the kind of steel the making of which Barrow was a past master. Coming under the management of the United Steels combine Barrow works entered a Renaissance period and a phase of secure employment ensued – and even an apprentice intake followed. Under United Steel’s banner Barrow would see security of employment for a new generation. 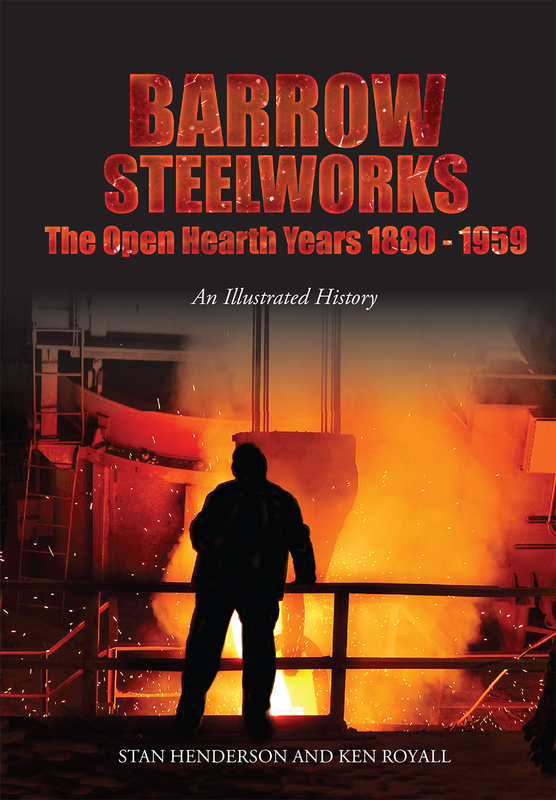 This book covers the open hearth years, the actual process as worked at Barrow and the main changes the works underwent together with some of the personnel involved in taking the works forward into the middle of the 20th century.